*Single hole installation, Streamlined style, flat rotating handle, independent switch. 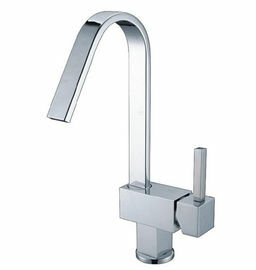 *High purity brass main body, chrome plated. Laser LOGO on faucet’s handle/color box with products label, or blister packing with our brand printing or OEM brand printing, increase the advertising effectiveness and marketing promotion. OEM and ODM are welcomed!